With Fluence’s 4SMB technology, this Italian fruit juice company is now separating its concentrated apple juice with less salt pollution and at a lower cost. An Italian fruit juice company produces a range of high-quality organic products in response to consumer demand for genuine goods with nutritional value. 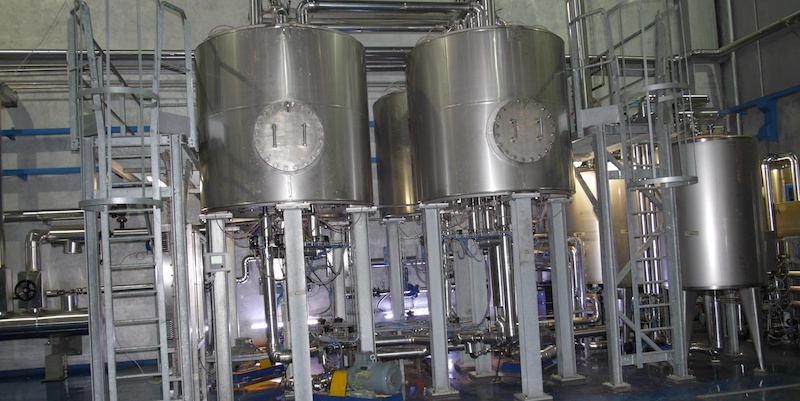 In keeping with current quality organic production requirements, the company was looking for an innovative chemical free method of producing a purified organic apple juice to be used as a sweetener or added to fruit preparations. Fluence proposed using 4-column simulated moving bed (4SMB) chromatography technology, a semi-continuous chromatographic process that uses chromatographic resin as a separation medium. It reduces the initial salinity by 92%. It does not need any chemical reagent. Wastewater only contains juice salts. Operating costs are 33% lower than conventional resin technology. This is one of many Fluence references in the use of 4SMB chromatography separation. Contact Fluence to learn more about our food and beverage processing solutions, or to discuss your next project with our experts.